Command and safety technology for industrial processes. Pilz is a German company with over 65 years of history, being present all over the world. In 2017, it was recognised as a world leader in the segment of command and safety technology for industrial processes, in a study carried out by the University of St. Gallen and the German Academy of Market Leaders. This brand focuses its business in the field of industrial automation, developing innovative products and solutions which guarantee the safety of industrial processes. The brand's product range includes: safety sensors, safety relays, programmable safety controllers and command systems. 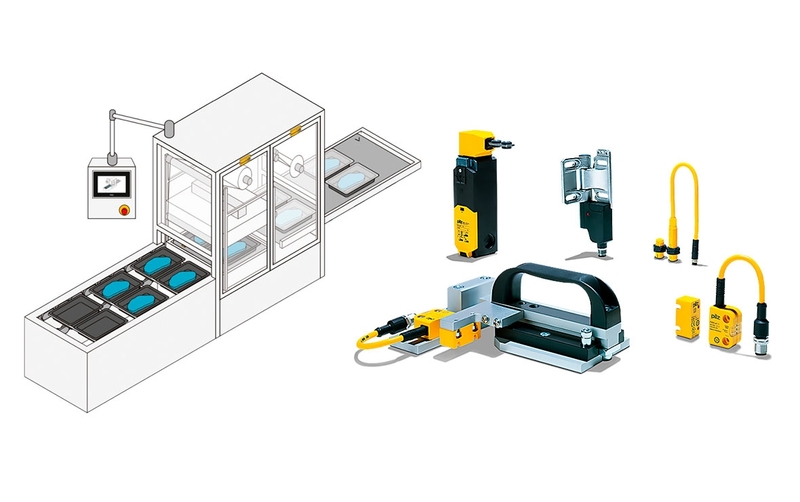 Pilz offers motion monitoring solutions, surface monitoring through 2D laser scanners and monitoring of production lines, applicable in a variety of industries such as: food and beverage, pharmaceutical, paper and packaging, steel and aluminium, robotics, presses, railway, among others. This brand is a good choice in the provision of safety solutions, which are characterised by their ease of use and ability to be updated or used in conjunction with other modules and products. The Pilz sensors are distinguished by their diversity of applications, where they can be implemented, their functional character in the most diverse technologies (mechanical, magnetic, RFID, optics, etc.) and compatibility with other products.. Discover the full range of these products here. For example, the magnetic safety sensors PSEN and PSENcode (coded) are used to monitor the protection port status. In this way, they can prevent the operation of a machine from continuing if the guard door is opened. Photoelectric sensors protect machines and installations when an active intervention occurs in the production process. 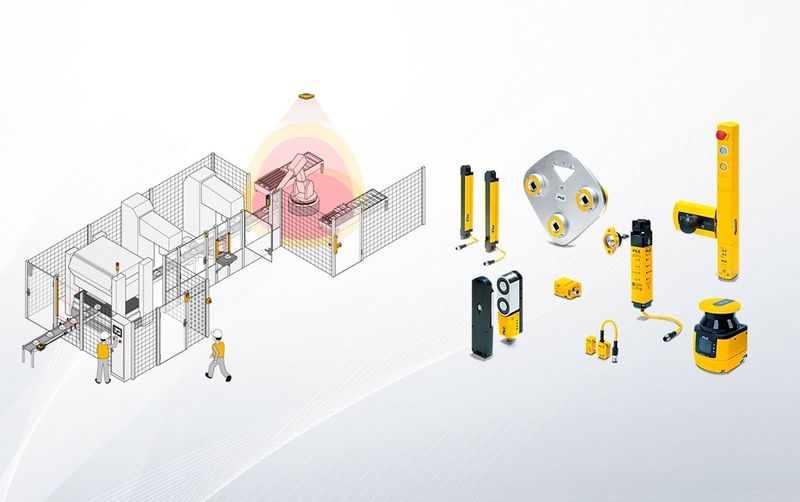 The Pilz photoelectric sensor range includes PSENopt safety light curtains and PSENscan laser safety scanners. 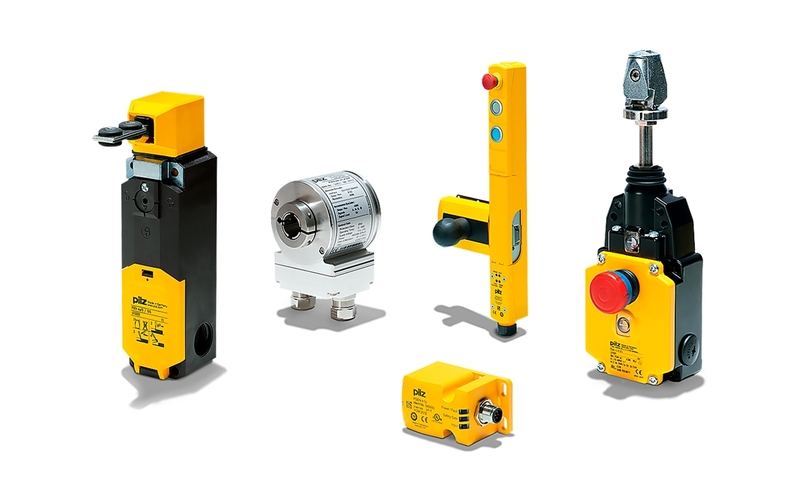 Pilz safety relays aim to minimise the danger to people and machines. Noteworthy in this product range, are the safety relays in the PNOZ and the PMD monitoring relays. Using the PNOZ range, according to the standard, it is possible to safely control functions, such as, emergency stop, protection doors, safety light curtains and much more. Programmable safety controllers fill the gap between classic safety relays and large programmable control systems. The programmable safety controllers of the PNOZmulti range are used to perform various safety functions, guaranteeing the protection of people and machines, in a simple and flexible way. This equipment has the sufficient capacity to take over the complete command of a small machine. The system can be expanded in a modular way, and it can keep up with the increasing requirements and size of the machine. With the use of the expansion modules, it is possible to adapt the control structure, with precision, to the application. 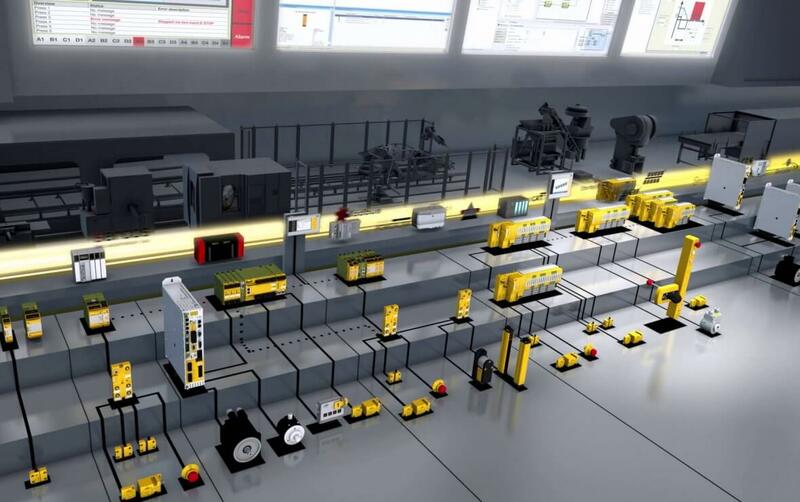 Pilz control systems enable the realisation of applications of any size for safety and automation in machines with basic functions, multi-axial machines or interconnected machines and installations.